The Nov.–Dec. 2005 issue of Business Law Today contains my article A Lesson in Drafting Contracts: What’s Up with “Representations and Warranties?” Because in this article I give a categorical thumbs-down to a usage present in the overwhelming majority of corporate agreements, I was prepared for some pushback. Given that Tina offers in her note an analysis that I’ve encountered previously, I thought there might be some value to my offering a response of my own. By way of background, here’s the gist of my Business Law Today article: Whereas an action for misrepresentation might differ in significant respects from an action for breach of warranty, that doesn’t mean that a statement of fact has to be referred to in a contract as a warranty in order for a party to bring a claim for breach of warranty based on that statement of fact. By the same token, there’s no basis for thinking that if a party “warrants” as to a given fact, rather than “represents” or “represents and warrants,” the party to whom that assertion was made would not be entitled to bring a claim for misrepresentation as to that assertion. So nothing is gained by cluttering up a contract with references to representations and warranties (and represents and warrants)—drafters would be better off using just representation (and represents). It can be used with all assertions of fact, whereas warranty has a narrower meaning. 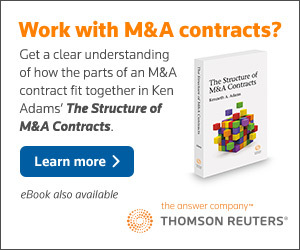 Before the article was published, I received some comments to the effect that whether you refer to a factual assertion in a contract as a representation or warranty does in fact matter, because an action for misrepresentation is very different from an action for a breach of warranty, in terms of the remedies available and other matters. My response was that while I’m aware of that difference, it has no bearing on what words you should use in a contract, and I state as much in my article. I encouraged anyone who disagreed with me to cite authorities that contradict those I cite in my article, but no one did. Anyone who asserts equivalency of terminology between, on the one hand, misrepresentation and breach of warranty as labels for a kind of cause of action and, on the other hand, representation and warranty (and represents and warrants) as those terms are used in contracts is trying to shoehorn contract meaning into a legal-doctrine framework—it just won’t work. When drafters use the phrase representations and warranties for all factual assertions made by the parties to a contract, they aren’t craftily indicating that their client wants to be able to bring either an action for misrepresentation or an action for breach of warranty if any factual assertion by another party to the contract turns out to have been inaccurate. Instead, they’re doing what comes naturally to lawyers—unthinkingly regurgitating contract language and in the process using several words where one would do. It’s futile to try to attribute to words a meaning that is never contemplated by those who use them. The simplest demonstration of this is that I haven’t found any case law supporting Tina’s interpretation. For instance, I’ve found no case law to the effect that if a contract refers to a factual assertion as a representation, a party won’t be able to bring a claim for breach of warranty if that assertion turns out to have been inaccurate. Given that U.C.C. § 2 313(2) says the exact opposite, the lack of any case law isn’t surprising. Instead, there are cases that demonstrates that a court will in fact consider to be a warranty an assertion that a contract describes as a representation—I cite one such case in my article. Whereas Tina asserts that some parties will refuse to make representations and instead will only make warranties, on the grounds that they want to avoid the possibility of being subject to punitive damages in an action for fraudulent misrepresentation, I haven’t found any case law that precludes an action for misrepresentation if in the contract the factual assertion in question is referred to as a warranty rather than a representation. On the other hand, there is, of course, Chandelor v. Lopus, which held that a seller wasn’t liable to a buyer because the seller had “affirmed” rather than “warranted” as to the product sold. But that case—which I discuss in my article—dates from 1625. 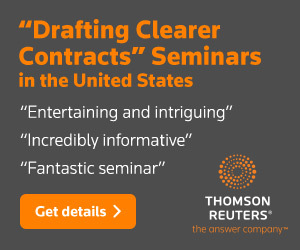 Thank goodness we’ve moved beyond Chandelor, because otherwise contract interpretation would be subject to use of “magic words”—words that have a plain meaning in general usage (including general legal usage) but are freighted with a counterintuitive doctrinal significance for purposes of contract interpretation. 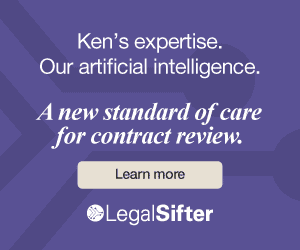 A further indication that drafters don’t have remedies in mind when they use the couplet representations and warranties is that they use it even in contracts that provide for indemnification as the exclusive remedy. The urge to ascribe to representation and warranty an unintended meaning reflects a larger issue, namely reliance on inscrutable words and phrases to convey meaning in contracts even though one can by other means accomplish the desired goal more efficiently. For instance, in her note in Business Law Today, Tina says that if at the request of a buyer—ostensibly for risk-allocation purposes—the seller makes a representation that it knows is false or does not know is true, it could subsequently find itself the target of a fraud claim. Tina’s recommendation is that in the contract the seller warrant, rather than represent, as to the facts in question, as that would mean that the seller hasn’t actually made a representation. I suggest that this would not be the best advice to give the seller. For one thing, there’s the problem of the lack of any case law supporting such a “magic words” approach. But a more basic consideration is that the risk allocation in question could be accomplished without leaving the seller open to a claim for misrepresentation—the parties could adjust the purchase price, or the seller could agree to indemnify the buyer if a given liability materializes. And yesterday I was contacted by the general counsel of a company that’s negotiating a contract with a parts supplier. The draft contract states that the supplier “represents and warrants” that the parts meet certain regulatory requirements. The supplier, espousing Tina’s approach, wants to use “represents” instead, as it doesn’t want to offer any warranties beyond its standard warranties. My correspondent, weighing Tina’s approach and mine, was wondering how to respond. I said that using only the word represents would not by itself preclude a court from concluding that the section in question constituted a warranty. But simply accepting the supplier’s change might not be the best solution, as the parties would apparently not have a meeting of the minds on the issue. I suggested that the parties address explicitly what the buyer’s remedies are in any given circumstance, instead of relying on inscrutable words to do the work. So here’s the upshot: There’s no modern support for the notion that whether you use representation or warranty (or represents or warrants) in a contract would affect the remedies available to a party. Instead, there’s authority for the converse. Whatever purpose you might be seeking to accomplish through such a distinction, you’d be much better off using other, more explicit language to accomplish it. That being the case, dropping representations and warranties (and represents and warrants) in favor of representations (and represents) would render contracts clearer and more concise. As with many drafting usages, the obstacle to change is cultural rather than substantive—this issue would seem a good litmus test of the extent to which you’re willing or able to engage in a cold-eyed reassessment of your drafting. I’ll close with two tangential points: I wager that my analysis applies under English and Canadian law, too; I’d be interested to know if it does. And my Business Law Today article and this post don’t address use of warranty on its own; that’s something I’ll consider in a future post.